Wim Wenders’s documentary about Pope Francis had the full participation of the Vatican. 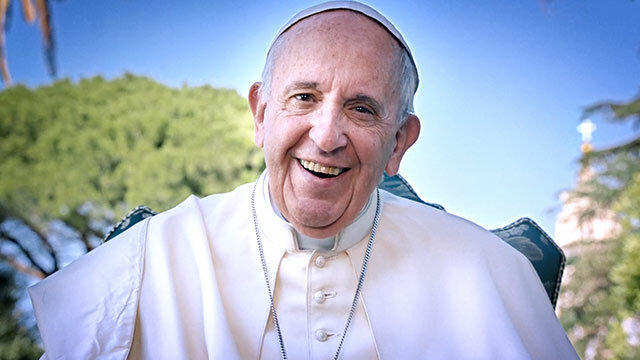 Pope Francis — A Man of His Word, features interviews as the core of the film, mixed with footage of Francis all over the world meeting with refugees, prisoners, children, hospital patients, victims of natural disasters, aid workers, and more. It also explains the 13th-century St. Francis of Assisi from whom the Pope chose his name. The movie got a near Perfect rating from "Rotten Tomatoes" organization that critiques films and 4/5 from both the WashingtonPost and film critique Roger Ebert. Wim Wenders, director of Pope Francis — A Man of His Word, spent much time with the Holy Father. Francis is the 266th pope, and a pope of firsts: the first from the Americas, the first from the Southern Hemisphere, the first Jesuit, and the first to take the name of St. Francis of Assisi. Like his namesake, as the film explains, Pope Francis is concerned with mainly: the poor and God’s creation. “Talk a little, listen a lot, say just enough, and look everyone in the eye,” Pope Francis says. Francis is a man who means what he says and tries to live by it. He lives simply — or as simply as a pope can —at the Vatican guesthouse rather than the luxurious papal apartments. Leaders who actually live what they proclaim are hard to come by. Pope Francis — A Man of His Word is a answer to that model of leadership. The portrait of Francis the film presents is gently, radically inspiring Pope Francis who greets crowds. This is a film to watch on the Big Screen near you before it's too late!